Well everyone summer is in full swing, and the 4th of July is just around the corner. Every year on the 4th of July there are few traditions that I look forward to first of which is Red, White, and Berry Pretzel Jello Cups. There’s something about the sweet, and salty combination combined with the coolness of the Jello, and fresh Strawberries. 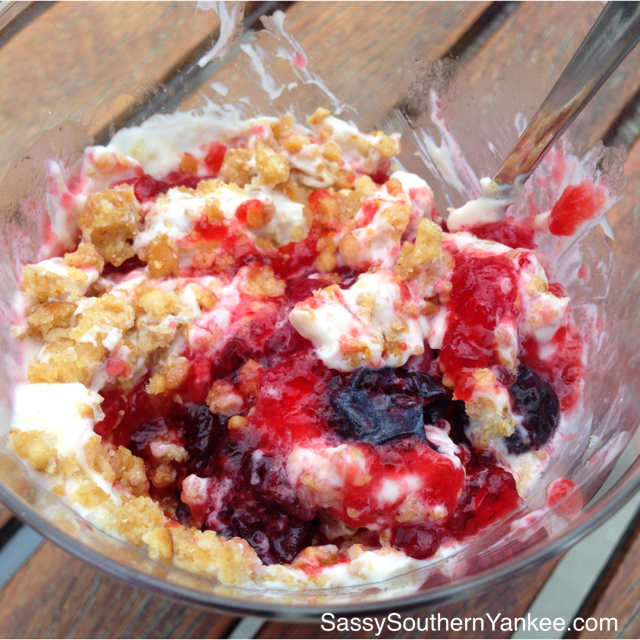 It’s the perfect summer treat, and super easy to make. I’ve made a slight adjustment to this family favorite, and if I do say so myself it’s even better than the original. I’m not exactly sure where June went, but I fully intend to embrace July with tons of pretzel jello, watermelon eating, boating, camping, beach days and lounging in the hammock. What are your favorite 4th of July Traditions? 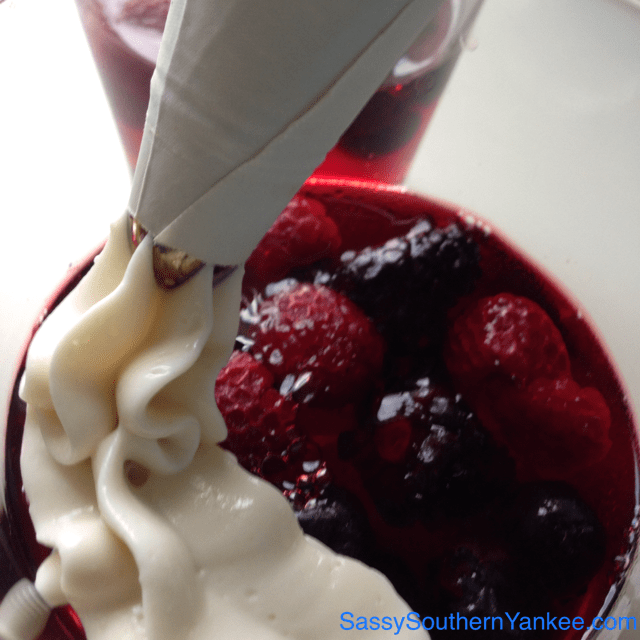 *Traditional Pretzel Jello is typically made in a 9×13 pan starting with the pretzel mixture, cream cheese, strawberries then the jello; however I layered mine opposite of that in large cups. Whatever way you decide to layer it just make sure that the pretzels, and jello are separated by the cream cheese mixture, or you will have soggy pretzels. Ok let’s get started! In a small sauce pan bring 1 Cup of water to a boil. Empty the contents of the package of strawberry gelatin and stir for a minuet until the gelatin dissolves. Add 1 Cup of ice cubes to the hot gelatin mixture (this allows the gelatin to set quicker). In four large glasses or small bowls place 1/4 Cup of the frozen berries in each. 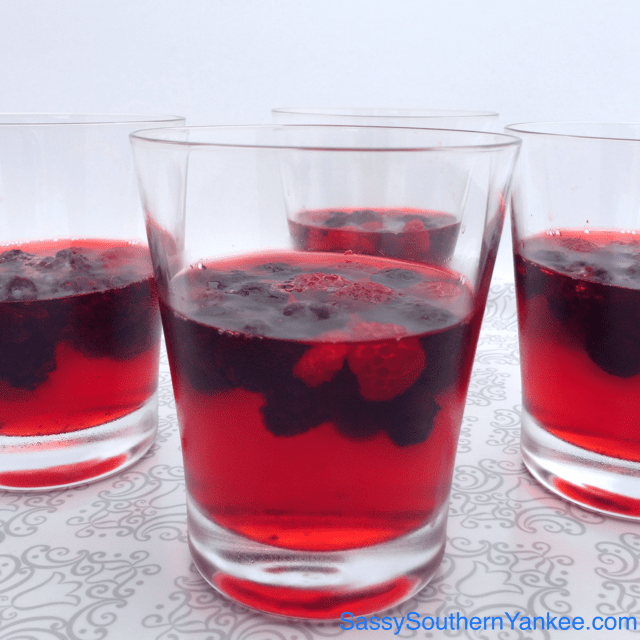 Pour the gelatin mixture evenly over the berries in the glasses. Place the glasses in the fridge for 2 hours or until the gelatin has set. 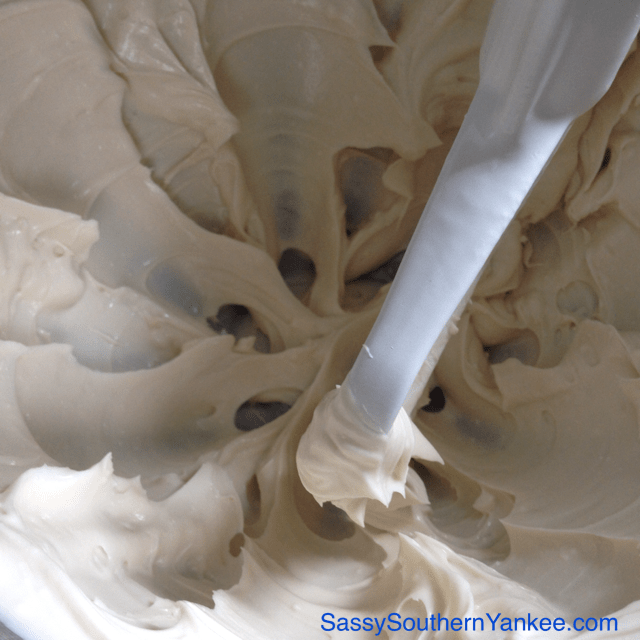 To make the cream cheese mixture combine the cream cheese, 1/4 cup sugar and vanilla using a stand up mixer combine until smooth. Set aside the mixture to use once the gelatin has set (place in the fridge to keep chilled). Place the pretzels into a small bowl and combine the remaining 1/4 Cup sugar and 3 Tablespoons butter. Stir until evenly mixed then set the bowl in the fridge to help the mixture firm up so you crumble it over the top of the cups once you are assembling them. To assemble the cups spoon or pipe the cream cheese mixture over the gelatin in the cups. Next sprinkle the pretzel mixture over the cream cheese. Feel free to garnish with additional fresh berries. Feel free to make these ahead of time. You can do everything in advance just wait until right before serving to add the pretzel topping to prevent it from becoming soggy. Enjoy! Whats your favorite thing about the 4th of July? 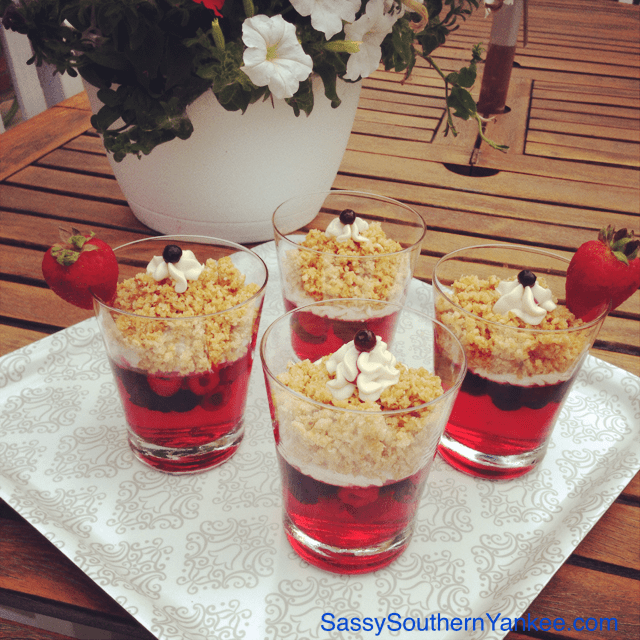 Every year on the 4th of July there are few traditions that I look forward to first of which is Pretzel Jello there's something about the sweet and salty combination combined with the coolness of the Jello and fresh Strawberries. 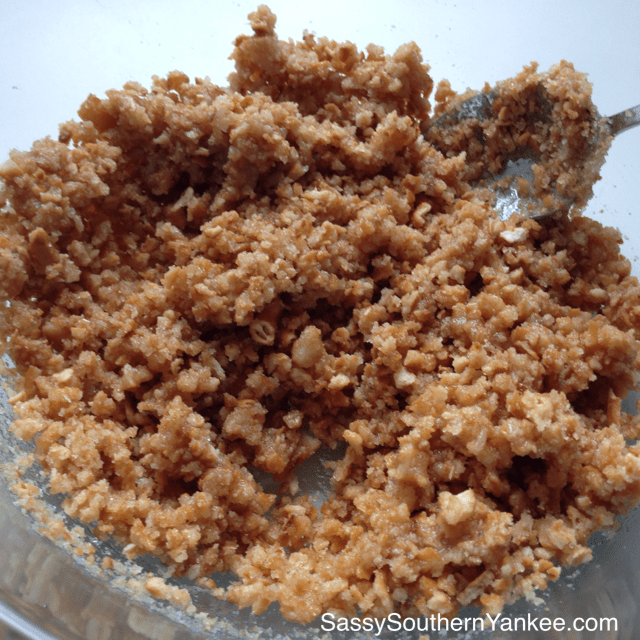 It's the perfect summer treat and super easy to make. I've made a slight adjustment to this family favorite, and if I do say so myself it's even better than the original. Ok let's get started! In a small sauce pan bring 1 Cup of water to a boil. Empty the contents of the package of strawberry gelatin and stir for a minuet until the gelatin dissolves. Add 1 Cup of ice cubes to the hot gelatin mixture (this allows the gelatin to set quicker). In four large glasses or small bowls place ¼ Cup of the frozen berries in each. To make the cream cheese mixture combine the cream cheese, ¼ cup sugar and vanilla using a stand up mixer combine until smooth. Set aside the mixture to use once the gelatin has set (place in the fridge to keep chilled). Place the pretzels into a small bowl and combine the remaining ¼ Cup sugar and 3 Tablespoons butter. Stir until evenly mixed then set the bowl in the fridge to help the mixture firm up so you crumble it over the top of the cups once you are assembling them. To assemble the cups spoon or pipe the cream cheese mixture over the gelatin in the cups. Next sprinkle the pretzel mixture over the cream cheese. Feel free to garnish with additional fresh berries. Feel free to make these ahead of time. You can do everything in advance just wait until right before serving to add the pretzel topping to prevent it from becoming soggy. Enjoy! 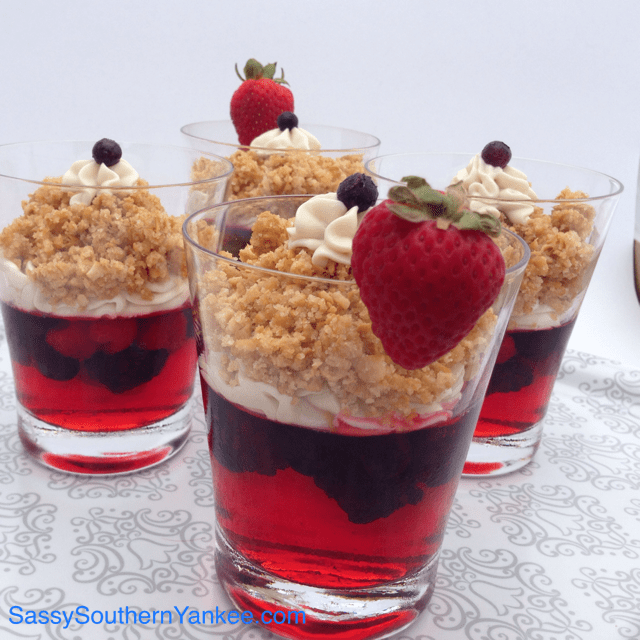 This entry was posted in Dessert and tagged 4th of July, Berries, Cream Cheese, Holiday Dessert, Jello, Pretzel, Raspberry, Strawberry, Summer, Summer Dessert.